In a tribute to the late, great Len Wein, here is a repost of some pages from AMAZING SPIDER-MAN #151 to #153 with art by Ross Andru. 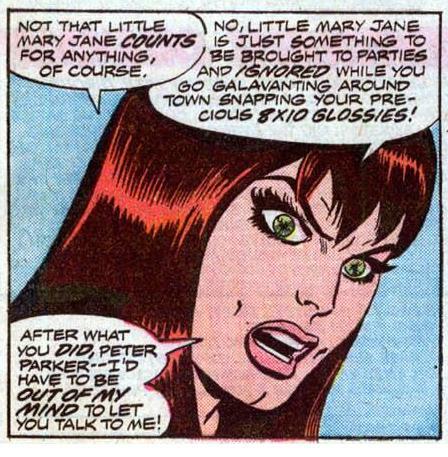 It takes place right after the original Spider-Clone story, when Peter and Mary Jane got more serious and started "officially" dating. But all serious superhero relationships hit that one stumbling block: when one of you has to run out of a party to fight a super-villain. Here's two villains of a kind. One of them's the Rose. Both of them're gonzo masterminds, legacies whose predecessors were gangsters that fought Spider-Man. 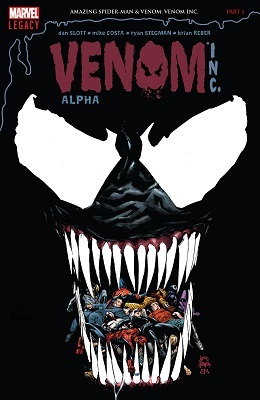 The Rose menaced Michael Morbius in Joe Keatinge and Richard Elson's take on the Living Vampire, in the same way as the Crime-Master did Flash Thompson in Rick Remender and Tony Moore's Venom. The threats they presented were different from those of the ones whose names they'd taken. (Two warnings- first, there's close to forty images under this cut. It's unlettered, but frankly, what lettering could hope to top this tableau? ComicBookResources has the article as the fan favorite "new Fantastic Four" get an update with new souls in old roles. At least the art look good. Warning. Big image behind the cut. 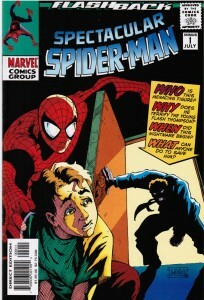 From ASM #25, by Lee and Ditko. In my last post I shared Peter and Mary Jane's first date, now here's Jeph Loeb and Tim Sale's take on their early relationship from Spider-Man: Blue. I'm honestly not a fan of the writing (for starters, the "guy holed up in the dark attic making tapes for his dead girlfriend" framing device struck me as creepy rather than bittersweet) but I love how Sale draws MJ. FYI, Mary Jane Watson fans: Marvel's just put out a new TPB called Spider-Man/Mary Jane: You've Just Hit the Jackpot! that collects MJ-centric stories from throughout the character's history. I'm happy I finally own the Parallel Lives graphic novel! Now back to your regularly scheduled post, already in progress. We're all familiar with this classic moment, right? But what happened after Peter opened the door? Scans from ASM #43. Current Music: Madonna: "Express Yourself"
Four pages from yesterday's Amazing, highlighting the points that will likely have people talking. This is my first time posting and wanted to share something I found a while back where Spider-man rips off his shirt and puts his lips between Flash Thompson.